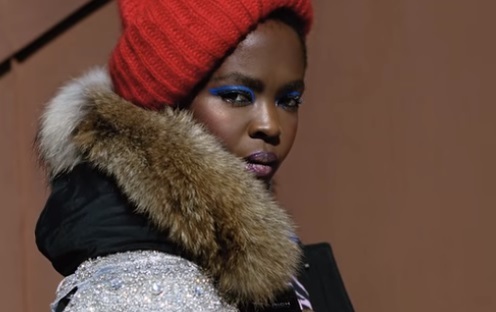 Woolrich has launched its Fall/Winter 2018 campaign, titled “Woolrich since 1830 – American Soul” and fronted by Lauryn Hill, who has recently been unveiled as the face of this campaign. The campaign celebrates the Woolrich brand, as well as authentic American creators, innovators and creatives, and will include musicians whose creative ingenuity is at the heart of American culture. The first instalment, shot on location in New York City’s Washington Heights neighbourhood, recalling the famous 1998 “Doo Wop/That Thing” music video, features Lauryn Hill walking through the city streets, while on screen her own story of what American Soul means to her is shown. “American Soul music, to me, is a continuum. A tremendous legacy or tradition, if you will, that communicates love’s survival – through hardship, suppresion and other challenges. It is love… adapting, resisting, expressing, covering, reconciling. I look at the soulfoul warriors who came before me, who fought to express long-suppresed and hidden truths about life, love and the world we live in” onscreen lines read, as her 1998 single “Ex-Factor” (from her debut solo album, The Miseducation of Lauryn Hill) is playing in the background. Lauryn Hill has also designed a capsule collection of outerwear with the US heritage brand.